The 4th largest region in Italy and its capital is Milan - home of fashion, food, finance and entertainment. 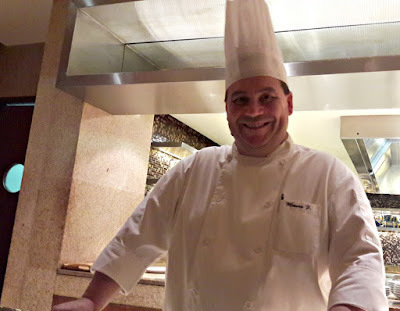 This is Lombardy, hometown of the very genial chef-de-cuisine, Chef Mauro Ferrari of Hyatt Regency Chennai. Invited to savour some of Lombardy's specialties at Focaccia, a bit of reading beforehand revealed that Lombardy is well known for risotto, polenta, various meats and butter. Also cheeses like Gorgonzola, mascarpone and dried fruit like raisins and candied peel. Not tomato, though. We started the meal with a very pleasant Allegrini Valpolicella, a fruity wine that was the colour of dark cherry and had a temperament to match. It went very well with all the courses that were served. 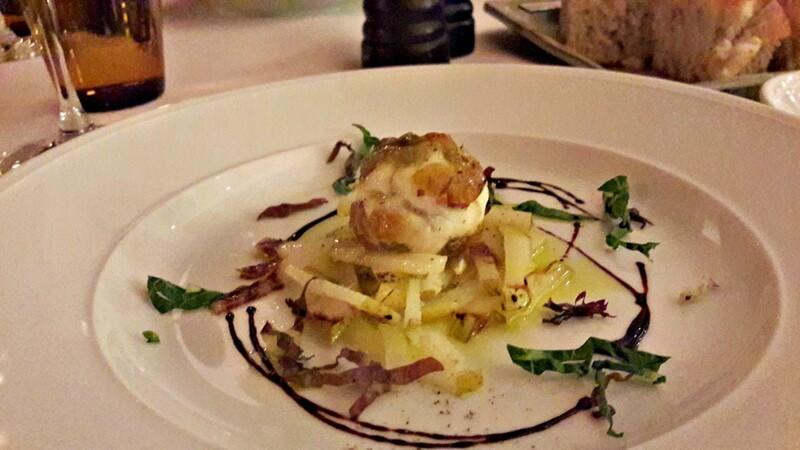 Our very first course, a pear and Gorgonzola salad was an explosion of flavours that featured Gorgonzola cheese and pear sticks. Beautifully plated, acidity from the drizzle of balsamic vinegar and the sweet and sour crispness of pear did tone down the strong taste of the cheese and is a classic pairing. Plumped up raisins added a lovely finish to the dish. Fish in Lombardy is the freshwater kind, we had crumb coated and fried perch. 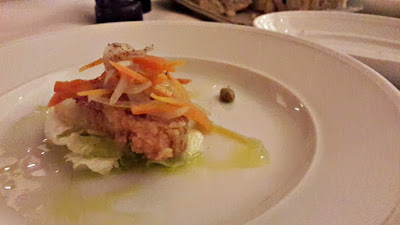 A carpione marinade of pickled carrot and onions was placed on it, infusing the fish with a subtle tangy flavour and moistening the crumb coat. More raisins added delightful sweetness. 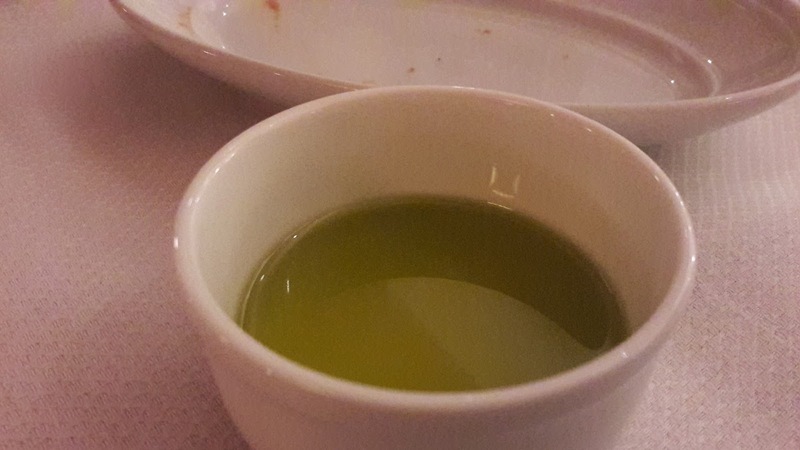 Served on a bed of lettuce which did nothing much for the dish, it was finished with a drizzle of the freshest extra virgin olive oil. Polenta fritters with cheese fondue was simply exquisite. 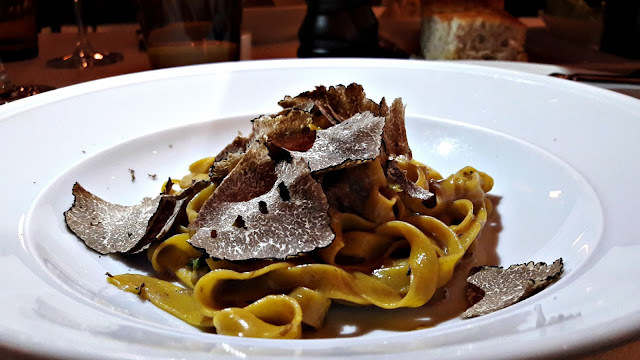 Shavings of black truffle lent a dark earthiness, enhancing the umami taste of both fungus and cheese. Can anything taste better that home made pasta? 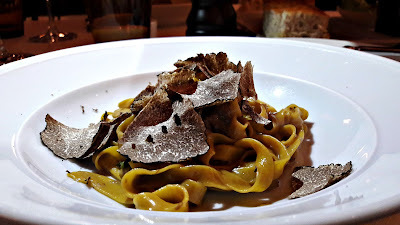 Chef Mauro's yellow tagliatelli was springy, cooked to al dente perfection. 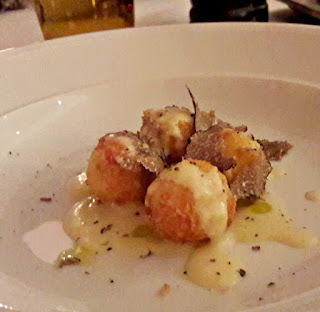 Lashings of oil, butter and generosity of black truffle shavings took it to another level and it was another exquisite presentation. 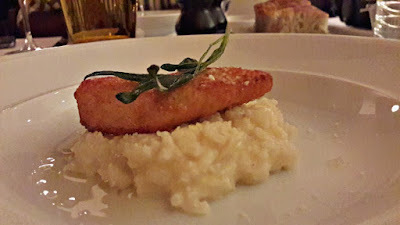 A slice of fried perch atop a bed of lemon risotto and balanced on it a sprig of fried sage; while the fish was delicious, the risotto was a bit of a let down as it lacked depth, the only combination that didn't quite work that night. 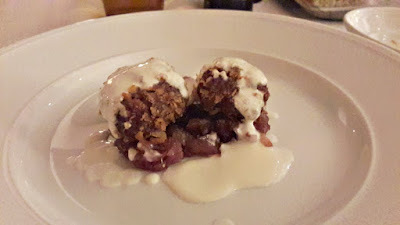 The star of the evening was without a doubt the meatballs with red onion and cheese fondue. Mondeghilli is supposedly a peasant dish - lucky peasants! Crisp outside, slightly pink meat in the middle, served on a bed of onion jam and topped with cheese fondue, the sheer chemistry of flavours was mind boggling. A trio of desserts comprising a slice of apple pie, poached pear and amaretti biscuits with mascarpone cheese brought the meal to the end. 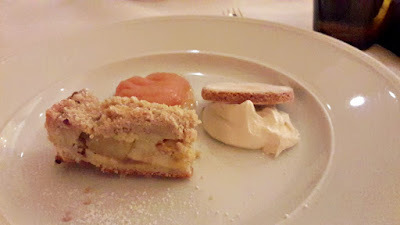 There are apple pies and apple pies but Chef Mauro's version with custard and apple slices was superb. Some exotic and not so exotic ingredients, mastery of technique and beautiful presentation - that's what the Lombardy Food Festival is about. We were given a choice of main courses so it will be a good idea to ask Chef Mauro for his recommendation. 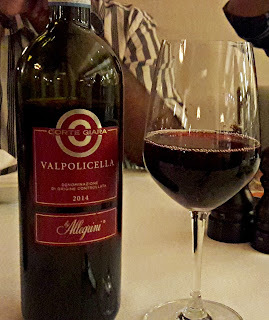 A meal for 2, without alcohol would be around 3500/++. 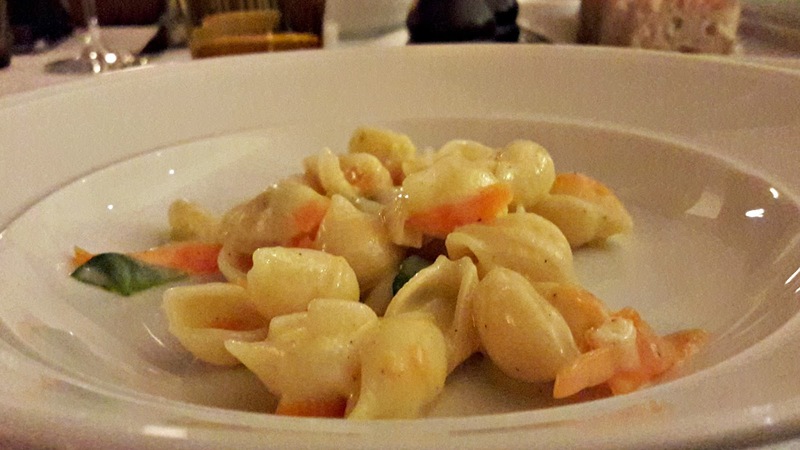 The Lombardy Food Festival is on till Sunday October 23rd, 2016.